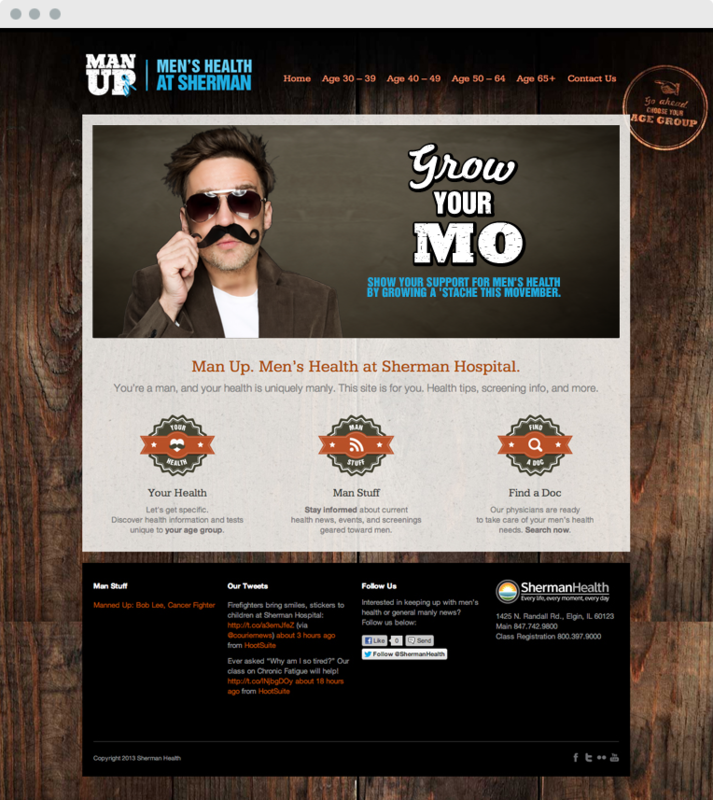 Sherman Hospital recognized that there was an information gap for men's health. 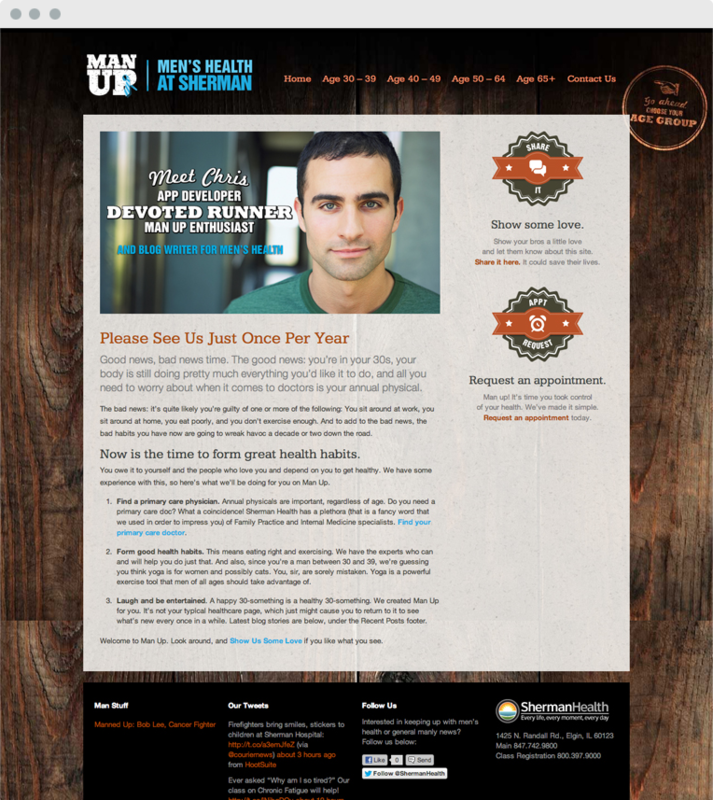 We created Man Up, a site that took health to an extremely macho level, sharing information based on a man's age. 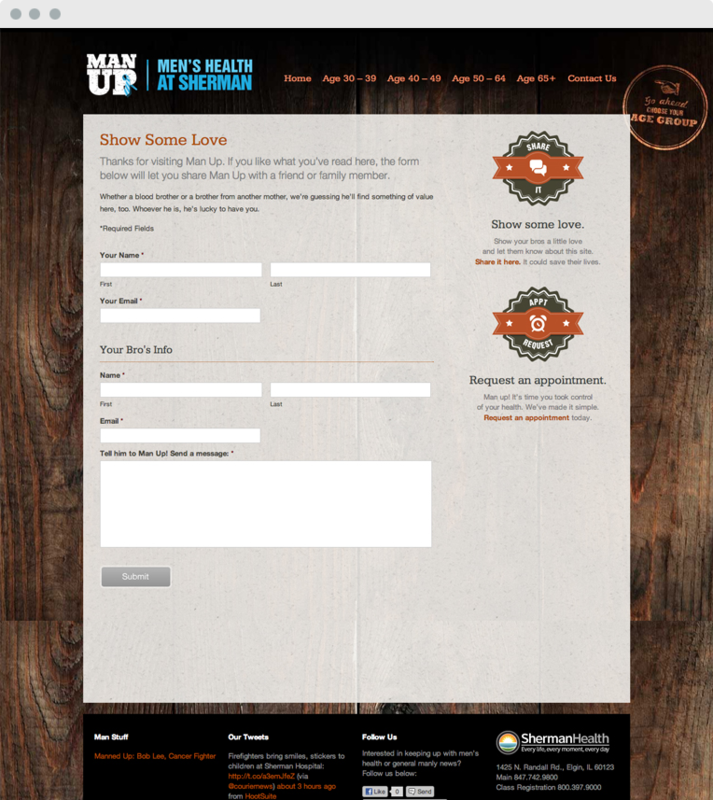 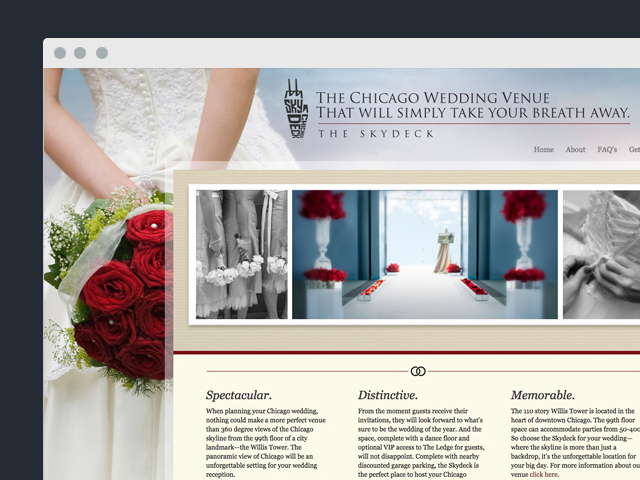 The site let men know recommended check ups and tests, and provided an easy way to find a doctor.